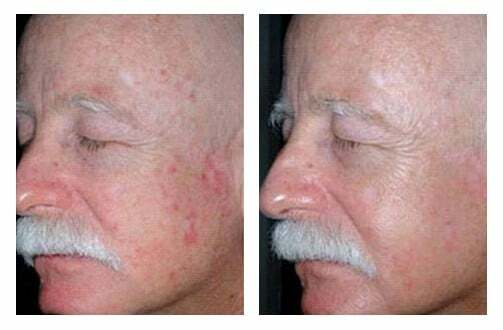 Photodynamic Therapy is a treatment that is used to treat precancerous spots (actinic keratosis), early small superficial basal cell skin cancers and to improve the appearance of dull, sun damaged skin. It is also used to reduce and treat active acne. Photodynamic therapy is a non-surgical treatment that improves overall skin health and the appearance of any area of the body that has received too much sun such as the face, chest, hands, arms, legs and back. Photodynamic therapy is renowned worldwide for destroying early precancerous cells in the treatment area without leaving any scars and is only offered for skin cancer prevention in a few specialized centres. Dr. Eiman Nasseri is a PDT expert who attends the international conference on PDT annually and gives lectures to help educate patients and physicians regarding this novel therapy. How does Photodynamic Therapy for skin cancer prevention work? A photosensitizing cream called Metvix is applied to the skin. This cream is absorbed preferentially by abnormal and pre-cancerous cells (actinic keratosis). The cream is left in contact with the skin for one to three hours for absorption. The skin is then exposed to a calibrated light. The abnormal cells preferentially absorb the Metvix and exposure to the calibrated light source destroys the unhealthy cells. 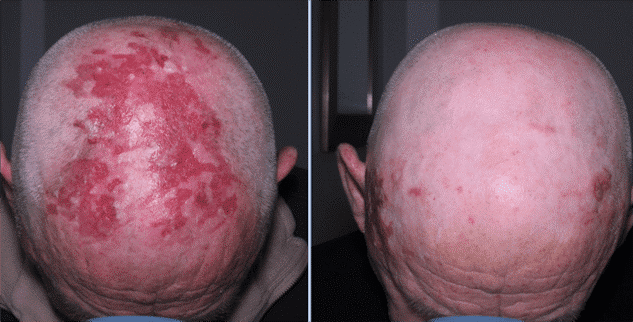 Actinic keratoses (AKs) are spots caused by overexposure to the sun. They’re small, rough and scaly patches, typically red or flesh-coloured. 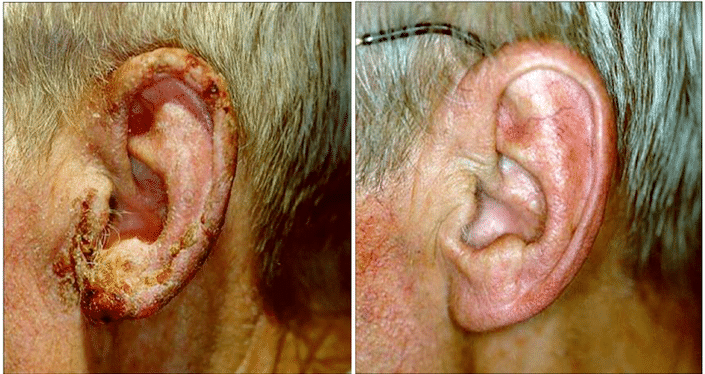 These lesions are made up of pre-cancerous cells that can develop into squamous cell carcinoma if left untreated. Squamous cell carcinoma is an aggressive form of skin cancer that can spread, ultimately leading to death. PDT destroys AKs and prevents skin cancer. What to expect during a PDT appointment? 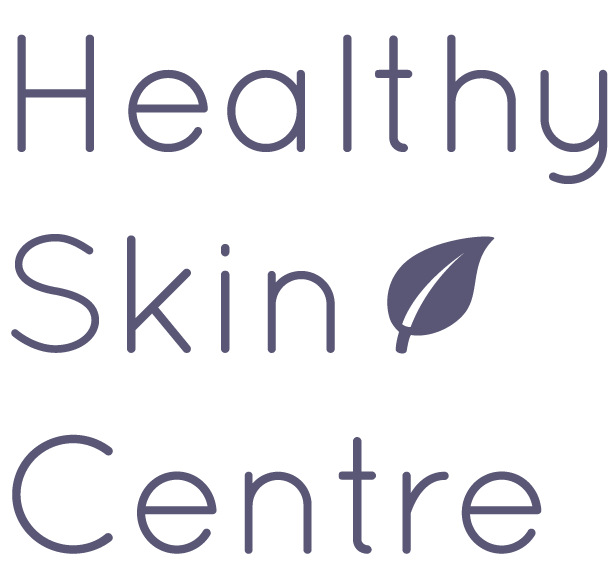 Your visit at Healthy Skin Centre for PDT will take approximately 4 hours. You will have a private consultation with Dr. Eiman Nasseri, our double-board certified dermatologist and Mohs Surgeon who specializes in skin cancer treatments and surgery, to determine the duration and number of treatments required given your degree of sun damage and visible pre-cancerous cells. You will then be escorted to our private surgical waiting area where you will be provided with Skinceuticals Cleanser to wash your face. One of our nurses, will then take you to your private room to apply the Metvix medication to your skin. A mask will be applied on top of the medication to allow for maximal absorption. You will then be seated in the comfort of our private surgical centre while awaiting the medication to take action on your skin. The incubation period varies between 1 to 3 hours depending on Dr. Eiman Nasseri’s recommendations. After the incubation period, one of our nurses will take you to your private room where you will be able to lie down comfortably. We will provide you with special goggles and then your nurse will turn on the light source that activates the Metvix Cream. It will feel like warm and it will be bright. During this 15 minute light session, abnormal cells and pre-cancerous cells are destroyed. Some people feel mild tingling or burning sensation during this period while others do not. The nurse will stay with you throughout your treatment and spray your skin with Avene Thermal water as required if the treated area feels hot. Sun damaged and pre-cancerous skin cells will crust and eventually fall away and leaving fresh, healthy skin underneath. PDT stops pre-cancerous cells from becoming cancerous and the need for future surgery or other medical complications. Is there any downtime with PDT? You will have approximately 48 hours of redness that resembles a sunburn. After 48 hours the redness will start to subside and the abnormal cells will gradually crust and peel off over the course of a week. These areas will be itchy and it is important not to scratch. Patients with significant sun damage can also experience swelling in specific areas. You can request a consultation with one of our skin care consultants who can suggest skin care products that will help you during the first few days of discomfort and as well as skin care products to prevent further sun damage in the future. How much does PDT cost? Since PDT treatment is for pre-cancerous skin conditions, some third-party insurance carriers may cover the drug cost. The calibrated light treatment may or may not be covered but may be submitted as a medical expense. We will give you all the necessary information to maximize your third-party insurance coverage. How many PDT sessions are required to destroy pre-cancerous cells? At Healthy Skin Centre, we recommend regular treatments spaced three months apart until all abnormal skin lesions have cleared. Annual maintenance can then be performed to keep help your skin clear of abnormal cells. If you are at a high risk for skin cancer and have a previous history of skin cancer. Call us today for more information at 604.553.7546. No one ever wants to hear that they have cancer! In my case it was squamous cell skin cancer on my face and, at the time of my diagnosis, my brother was dying of the same cancer. Terrifying! My dermatologist recommended Mohs surgery and Dr. Eiman Nasseri. I am now cancer free! My incredibly positive experience started with Karen at the front desk. She was so patient, empathetic, knowledgeable and quick to respond to my questions and concerns. The nursing staff (apologies that I do not remember all of the names) were caring and gentle and reassured me through the entire process. Dr. Nasseri – a huge thank you! He took the time to listen to me, hear my concerns and address them all. He constantly reassured me through the surgery, he was funny and he kept me talking to take my mind off the stress and angst I was feeling before I started the procedure. It has been a little over 3 months. You can hardly see the scar. I just recently returned to get the Photodynamic Therapy on my whole face. With yearly PDT maintenance and lots of sunscreen, I am hoping that I do not ever have to go through another diagnosis but if I do, I would definitely be back to the Healthy Skin Centre.